The Boca Museum of Art in Mizner Park offers corporations, professional organizations and individuals an incomparable and elegant setting for private events. 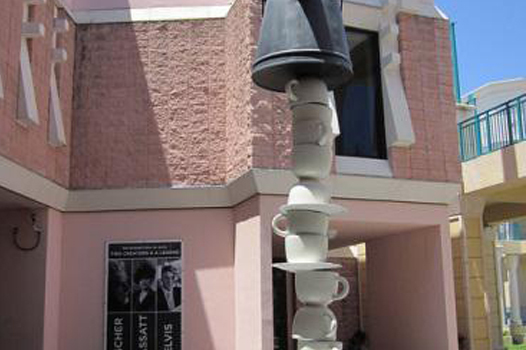 This nationally-accredited art Museum, located in the heart of downtown Boca Raton, offers a variety of premier entertainment options within its spacious galleries. From a cocktail reception in the Outdoor Sculpture Garden, to an elegant seated dinner in the Great Hall, or a corporate meeting in our state-of-the-art Wolgin Auditorium, the Boca Museum of Art provides a stunning backdrop to any event. With Modern art built into the reception area, the Boca Museum of Art is an ideal venue for an event of any kind.